The Tennessee Volunteers travel to O'Connell Center to play the Florida Gators on Saturday, January 7, 2017. The Volunteers come into this game with an overall record of 8-6 and a road record of 2-1. 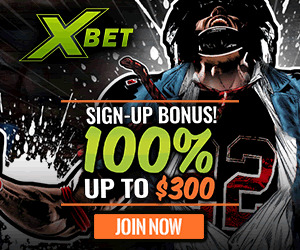 They are 7-5 against the spread and their over/under record is 4-7. The Gators have an overall record of 11-3 and a home record of 2-0. They have an over/under record of 6-6 and they are 8-4 against the spread. Robert Hubbs comes into this contest averaging 15.2 points per game while playing 30.1 minutes per night so far this season for the Volunteers. He pulls down 4.8 rebounds per game and dishes out 1.4 assists per game as well. His field goal percentage is 53% while his free throw percentage is currently at 88%. Grant Williams averages 10.8 points per game in 23.1 minutes per contest this season. He averages 1.1 assists per contest and 5.9 rebounds per game for Tennessee. His field goal percentage is 57% for the year while his free throw percentage is 66%. 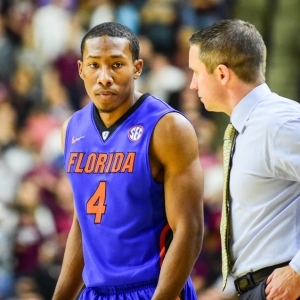 KeVaughn Allen averages 14.1 points per game while playing 27.7 minutes per contest this year for the Gators. He grabs 2.4 rebounds per game and has 1.3 assists per contest on the year. His field goal percentage is 45% and his free throw percentage currently is at 89%. Devin Robinson averages 12.6 points per game this season and he sees the court an average of 25.5 minutes per contest. He also averages 5.5 rebounds per contest and 0.7 assists per game. His field goal percentage is 55% and his free throw percentage is 80%. Tennessee averages 77.4 points per contest this season which ranks them 78th in the nation. Their average scoring margin is 4.8 and their shooting percentage is 44% as a team which has them ranked 187th. Behind the arc they shoot 32% which is good for 268th in the country. They average 37.7 rebounds per game and 14.1 assists per game which ranks them 97th and 128th in those offensive categories. In the turnover department they rank 179th with 13.5 per game. The Volunteers allow 72.6 points per game to their opponents which ranks them 182nd in the nation. They also allow a 42% shooting percentage and a 36% average from behind the arc ranking them 127th and 235th in those defensive categories. Opponents average 36.2 rebounds a game which ranks 187th and they give up 12.6 assists per contest which puts them in 126th place in the country. They force 15.5 turnovers per game which ranks them 38th in Division 1. Florida averages 78.6 points per game this year which ranks them 54th in Division 1 college basketball. Their average scoring margin is 12.3 and their shooting percentage is 46% as a team which has them sitting in the 101st spot in the country. Behind the arc they shoot 35% which is good for 175th in the nation. They average 36.2 rebounds per game and 12.1 assists per contest which ranks them 162nd and 256th respectively. In the turnover department the Gators rank 32nd with 11.2 per game. The Gators allow 66.3 points per game to their opponents which ranks them 54th in the country. They also allow a 42% shooting percentage and a 33% average from behind the arc ranking them 125th and 96th in those defensive statistics. Opponents average 34.2 rebounds a game which ranks 99th and they give up 9.2 assists per contest which puts them in 6th place in the nation. The Gators force 16.3 turnovers per game which ranks them 18th in college basketball. The Volunteers average 68.6 points per game on the road this season and they have scored 74.3 ppg in their past 3 contests. They have an average scoring differential of -0.8 on the road and in their past 3 games their difference is 3.3 per contest. The Volunteers have an offensive rating of 107.9 and they assist on 53.8% of their shots. In terms of pace they average 72.2 possessions per 40 minutes and their effective field goal percentage is 50%. As a team they have a true shooting percentage of 55% and they shoot 3 pointers on 33% of their shots. Tennessee turns the ball over an average of 15.9 times per 100 possessions and they get a steal on 9.1% of their opponents possessions. Their total rebound percentage is 51% while their offensive rebound percentage is 34.3%. The Volunteers give up 69.4 points per game on the road this season and they have surrendered 71 points per contest in their last 3 games. The Gators score 82 ppg at home and they have averaged 81.7 points per contest in their last 3 games.They have an average scoring differential of 13 in their past 3 contests and at home this season they have a difference of 15 points per game. The Gators have a rating on offense of 112.5 and 45% of their shots are assisted. They possess the ball 69.8 times per 40 minutes and their effective field goal percentage for the year is 51%. As an offensive unit they have a true shooting percentage of 55% and they attempt 3 pointers on 34% of their shots. Florida turns it over an average of 13.8 times per 100 possessions and they steal the ball on 11.8% of their opponents possessions. Their total rebound percentage is 51.4% while their offensive rebound percentage for the season is 35.5%. The Gators give up 67 points per contest at home this year and they have given up 68.7 points per game in their past 3 contests.